The American Geriatrics Society (AGS) today named J. Eugene Lammers, MD, MPH, FACP, AGSF, its 2018 Clinician of the Year. Dr Lammers is Medical Director and Primary Care Physician at Mercy LIFE of Alabama, where he is part of an interdisciplinary team caring for 175 older adults. 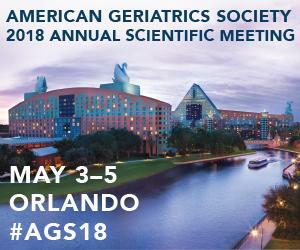 Dr. Lammers will be honored at the AGS 2018 Annual Scientific Meeting (#AGS18; May 3-5 in Orlando, Fla.).